If Christmas brings one thing home to us as a business, it’s how much postage costs! Did you know – the price of a standard letter first class stamp is now 65p? Since 2007, the rise in the price of a first-class stamp has outstripped inflation. If the price had followed inflation, then a standard stamp should cost around 42p. 65p is almost scandalous. It’s no wonder that many people are moving away from sending physical mail. Since 2004, the number of letters we send as a nation has been steadily declining, though there has been a rise in the number of parcels we send. There are many different factors at play here including the rise of the popularity of online shopping and auction sites, the decline in the economy generally, and the ease of using electronic communications to send messages to family, friends, and other businesses. Postage can be a huge expense for your business. Here’s how you can reduce your spend and improve your profitability. Move to electronic communications. Consumers have been making the move to electronic communications over the course of the last 20 years. Businesses can often be slow to catch up. If you’re not using email for as many client and supplier transactions as possible, then you should. There’s no need to send quotations, invoices, and payments in the post in this day and age. People don’t expect it half as much as they used to. Electronic documents are as effective and generally as legal as a paper copy. Get a franking machine. If you do large volumes of mail then a franking machine can reduce your costs considerably. It usually costs to lease a machine, and then you pay a subscription or pay per click for each item, but at a much lower rate per item. If you send many letters, then not only can you more than make back your leasing costs, but it will also save hours each year of having to send someone to the post office to send your mail. Bundle items up. If you’re sending physical letters frequently to the same address, then save a few of them up and send them all in together once a week or so rather than being a slave to the daily postal run. You could get away with paying the postage for a large letter, rather than lots of standard letters. A large letter currently costs 98p, whereas standard costs 65p per letter. Even if you’re sending two items per week to the same address, you could save by holding out for the second item and sending them both together. Get a better deal with a courier company. Royal Mail postage costs for parcels are reasonable but they don’t have the monopoly on package delivery, so shop around. There are lots of courier companies out there ready for your business; just make sure you choose one who will provide the reliable, professional service you and your customers expect. 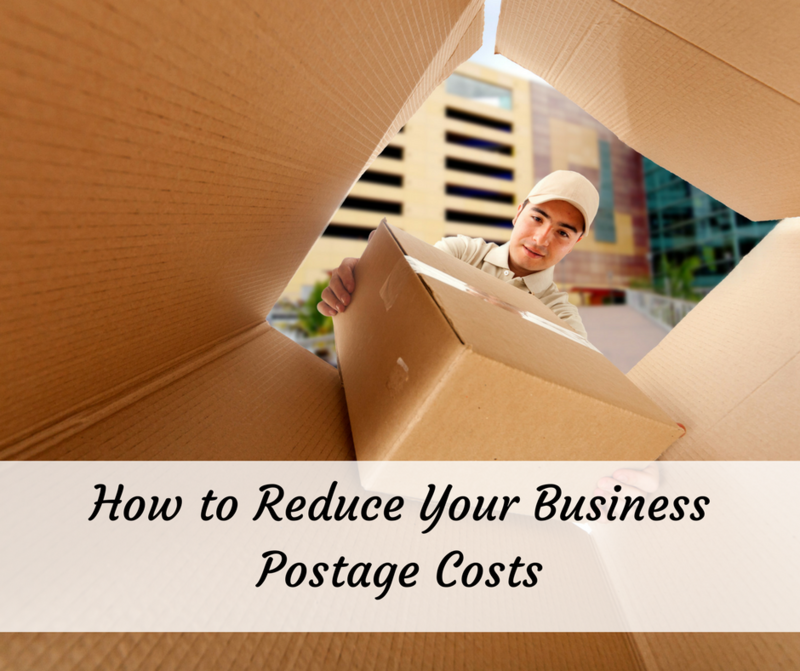 Have you had any success in reducing your business postage costs?